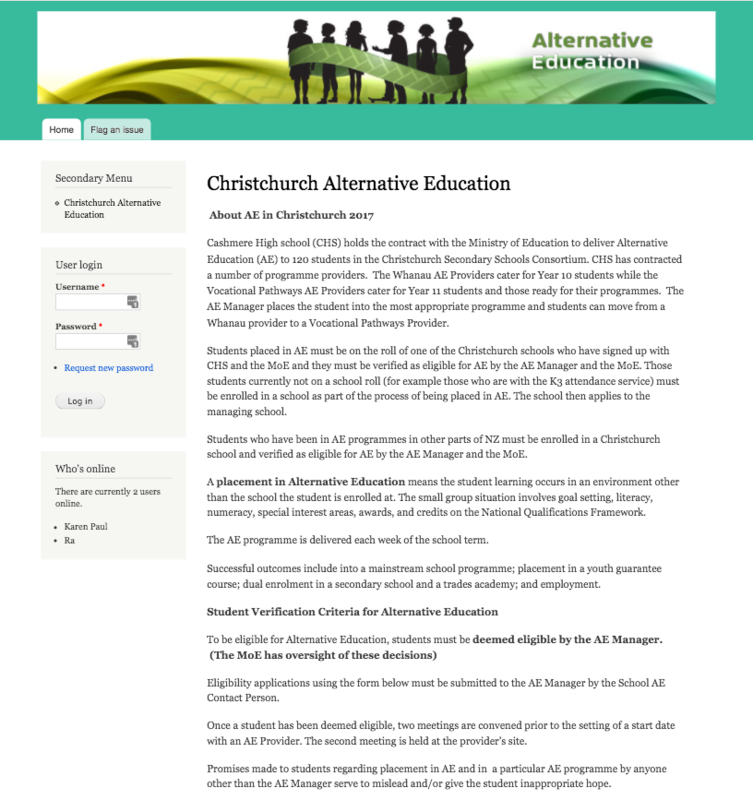 Christchurch Alternative Educaiton delivers Alternative Education to 120 students in the Christchurch Secondary Schools Consortium. A placement in Alternative Education means the student learning occurs in an environment other than the school the student is enrolled at. The small group situation involves goal setting, literacy, numeracy, special interest areas, awards, and credits on the National Qualifications Framework. Successful outcomes include into a mainstream school programme; placement in a youth guarantee course; dual enrolment in a secondary school and a trades academy; and employment.